Silchar, Aug 21: Tripura, Mizoram, parts of Meghalaya and Manipur and the Barak Valley areas of Assam was cut off from the rest of the region early on Wednesday due to landslides in a number of places in Meghalaya and Assam's Dima Hasao district. Sources said torrential rainfall for the last three days has triggered the landslides. Mud, boulders, trees and debris came rolling down the Barail Hill on at least three places on the Haflong-Silchar road. The road went under the debris in three places between Bandarkhal and Miyankro on NH-306. This has stopped movement of traffic on this 110-km stretch of road. 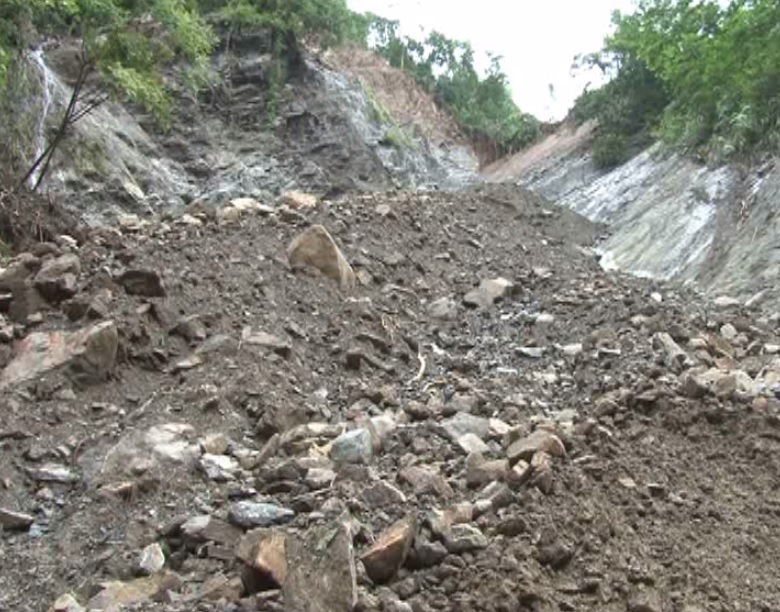 Traffic was also closed on NH-6 connecting Badarpur in Assam with Jowai in Meghalaya due to landslides in Tuensang, Kuliang and Ratacheera areas of East Jaintia district, 90 km from here. However, there was no report of any loss of life, sources said. The authorities are engaged in clearing the debris. However, continuous downpour was affecting the clearing work. Hundreds of vehicles were stranded on both Haflong-Silchar and Badarpur-Jawai national highways. Rail connectivity with this region has remained cut off as passenger trains on the newly commissioned Lumding-Silchar broad gauge track is yet to be flagged off.